While low gas prices and a less-than-stellar Canadian dollar are hurting many industries, tourism within Canada is not one of them. The lower price of the loonie is attractive to international tourists coming to Canada, especially our neighbours to the south. “Americans would almost certainly find Canada attractive for tourism and shopping,” says Sherry Cooper, chief economist at Dominion Lending Centres, in MoneySense. A lower Canadian dollar is also a great opportunity for Canadians to skip international travel and explore many of the great vacation destinations within their own country. Overall revenues for Canada’s tourism sector increased in 2015 despite modest gains in some segments and weakness in some regions of the country. In fact, many traditional ‘brick and mortar’ tourism businesses across the country saw strong gains, made possible by the combination of low gasoline prices and a weaker Canadian dollar. With 17 World Heritage sites, world-class cities and numerous internationally acclaimed vacation destinations, Canada has many vacation options worth considering in 2016. “The second largest country in the world, Canada has no shortage of beautiful landscapes and unique sites for travelers to explore. From coast to coast, the country is home to vibrant and culturally rich cities, along with incredible natural wonders,” says Lana Law in PlanetWare. Niagara Falls, Ontario: One of the greatest wonders of the world, it is perhaps Canada’s most famous natural attraction. Its close proximity to Toronto and the US border makes it a prime location to visit. It’s the perfect family vacation spot. Vancouver, British Columbia: Vancouver is a wonderful place to visit year-round. Tourists can spend their time skiing, exploring the ocean, hiking in the mountains and taking in everything the city has to offer. “Vancouver’s star attraction is Stanley Park which covers a huge area of woodlands, gardens and green spaces. Some of the city’s other top sites include Granville Island’s remarkable food market and Chinatown’s vibrant array of shops,” says Touropia. Toronto, Ontario: Ontario’s capital city, and one of North America’s largest cities, Toronto is one of the most culturally diverse destinations you can visit. Explore the unique districts of the city, such as Chinatown or Little Italy, or check out some of the city’s famous landmarks, such as the CN Tower, Eaton Centre, Royal Ontario Museum or the Hockey Hall of Fame. Montreal, Quebec: As you walk the streets of Montreal, the city’s European feel may make you forget that you’re still in Canada. Montreal is a great place for a family vacation, weekend getaway or stopover as you take a trip through Quebec. The city is “a bustling metropolis comprised of a downtown district, a historic quarter, entertainment district and several distinctive neighborhoods. Montreal’s main sights include downtown skyscrapers like the Olympic Tower, the historic buildings of Old Montreal and several family attractions like theme and water parks,” says Touropia. 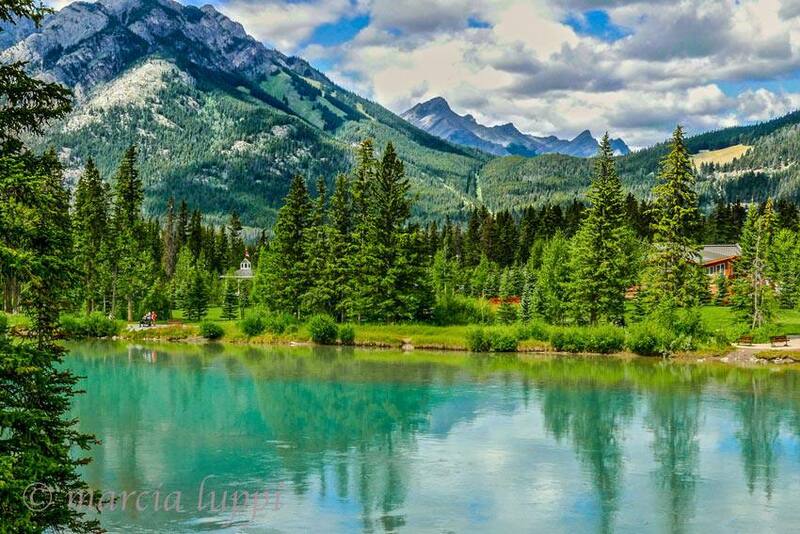 Banff National Park, Alberta: Located in the centre of the Rocky Mountains, Banff National Park is one of the most majestic places in all of Canada. It’s ideal for camping and hiking in the summer and skiing in the winter. “Turquoise green lakes, snow-capped peaks, and glaciers are all easily accessible in this stunning park. The jewel of the park is Lake Louise, where green waters reflect the surrounding mountains and visitors can stroll easily around the shores. The Icefields Parkway that runs from Lake Louise to Jasper is an unforgettable drive and another must see in Banff,” says Law. Whether you are travelling within your own country or exploring an international location, you need travel insurance for your trip. Travel insurance ensures you are covered during your vacation. Learn more about your coverage options by contacting us for a quote for travel insurance in Canada.